M-100 Message Board - Guess what I did today? I drove fours days with the 450 SLC. Then the motor just died, I had to get it towed to home. I have done a complete analysis and measurement of all the D-Jetronic components so far. Problem is that the injectors are not opening during cranking, they open when throttling with ignition on. Last and the most expensive part to be checked ist the ECU; I will have a used one shipped to me for test purposes. Jus a short update on my SLC. The ECU was broken some how, I fitted a used on and it worked well. On the test drive the car started to behave strangely and stalled several times. I managed to get back home without towing and saw and smelled there was fuel leak somewhere. Reason was seen under the air filter housing; the cold start valve was leaking fuel via the air hose straight into the throttle body, it was already full and overflowing. I had ignition on that time because of stalled motor and the fuel pump was buzzing every now and then to keep up the rail pressure. The manifold was full of gasoline and also the motor. I could not crank it. I took the plugs out and cranked the motor; fuel was bursting from the plug holes. I let all dry over night, kept the throttle open after siphoning some of the gas out from the manifold chamber. Motor oil level raised slightly over max limit. I installed a used set of Bosch spark plugs that came with the car (condition unknown) and tested the engine; very rough idling and heavy blue smoke during cold run period. The smoke disappeared but the motor was running poorly, all the way. Next day I replaced the spark plugs again to a used set of good NGK ones from my SEC, and voila - all works. Oil pressure is fine but I need to change the oil and filter of course. At least for a day with 50 km variable test drive conditions all works. The car seeems to be back into strenght (euro-450-power ). you are lucky you didn't end up getting hydraulic lock and bend the rods. Yeah. Luckily the leak was minor so it just caused some misfiring; the stalled engine with ignition on caused the flooding. Interesting, test driving some 20 kilometres the oil level dropped from 5 mm above top mark to 5 mm below top mark - the gas seems to be evaporating. I will change the oil of course soon. 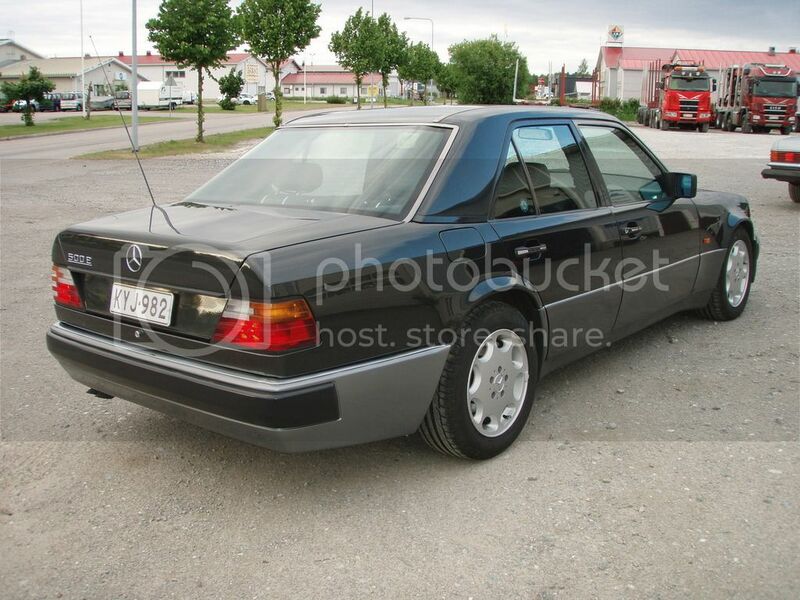 My SLC was stored over the winter time and one of my former colleagues wanted to buy it. 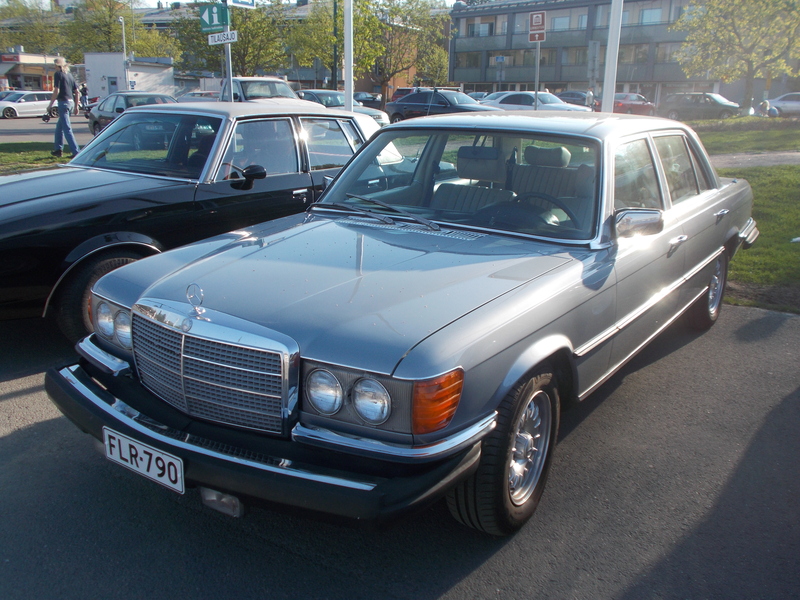 Reason for letting it go easily was a fair price (for both of us) and another buddy offering me his 1992 500E. I had to buy it . 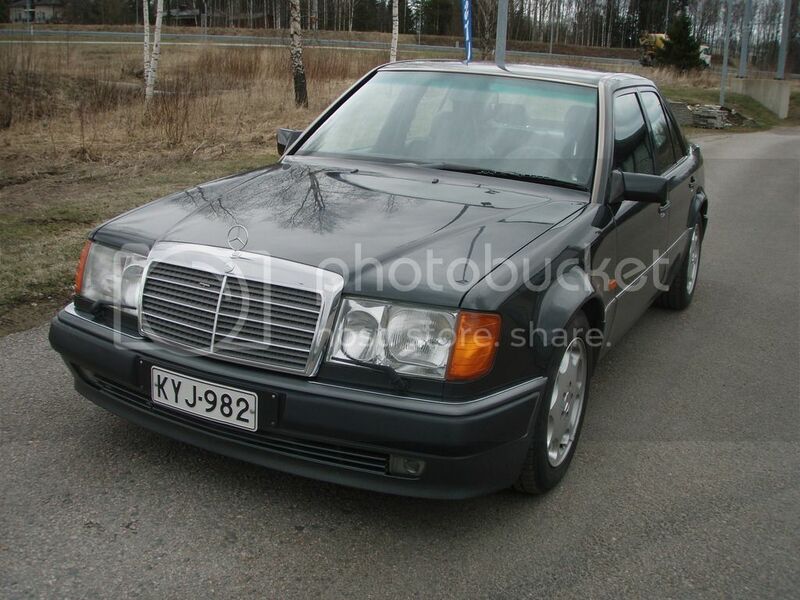 Originally a German car had stayed a while in Sweden and was imported to Finland in 2007. 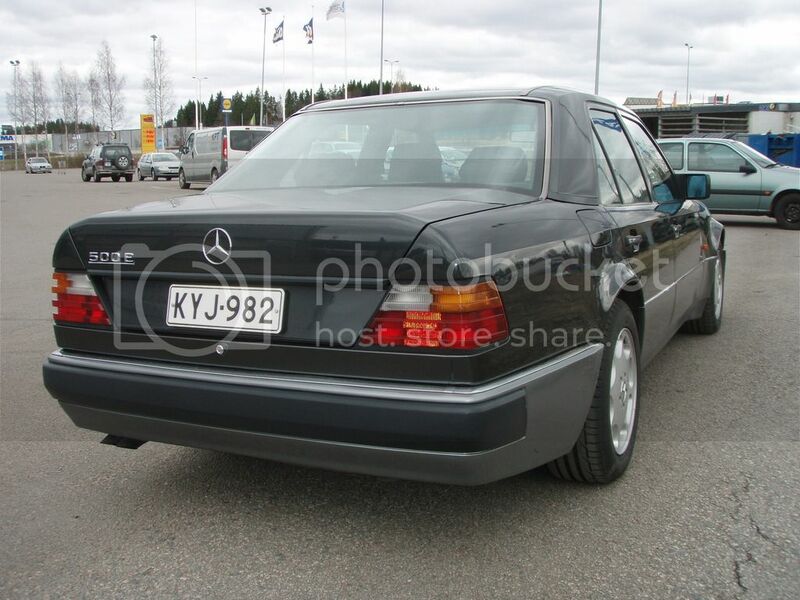 My MB Club-friend bought it in 2009 and has replaced a lots of wearing parts like brakes fully, springs and front shocks, lots of bushings and some ball joints, complete exhaust system with catalytic converter plus some other small pieces (sensors, headlight lenses, power antenna, driver's door seal etc etc). 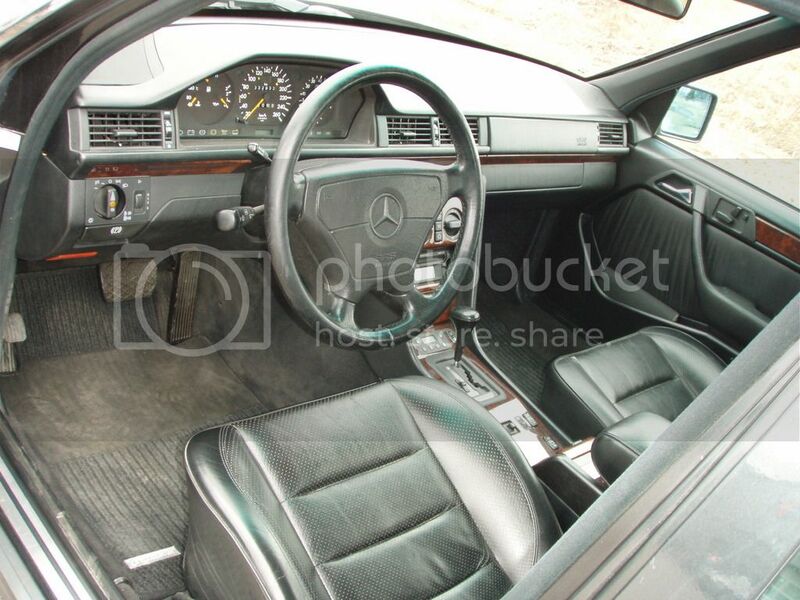 The car has clocked 330 k but interior is very clean. Production order: There is a production order for this vehicle! I'd love one too but we can't register them here because of the LHD. Of course you can Ron. There are plenty of LHD cars driving around here with normal registration - Mustangs, Corvettes etc. I don't know when they changed the law to allow it, but it was quite a while ago. 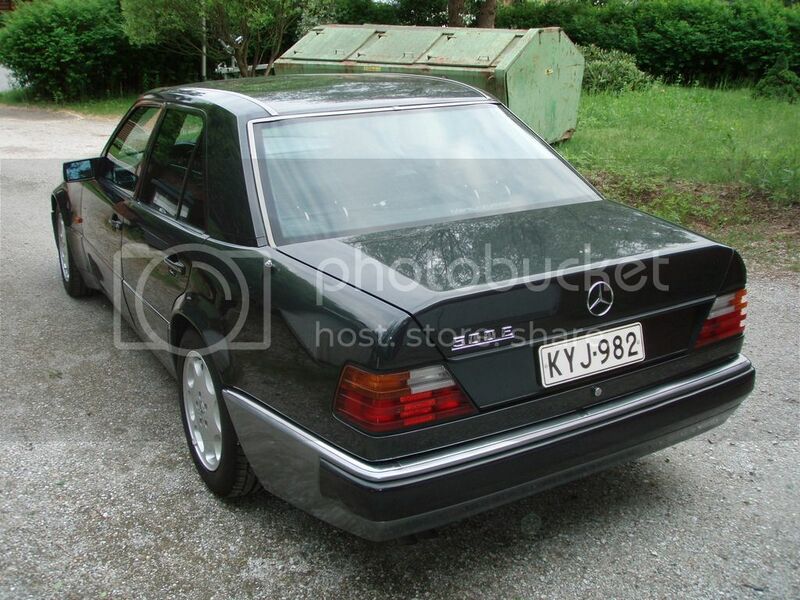 I have been driving with my 450 SEL 6.9 for a few days, it works well. Now it looks my fleet is complete. 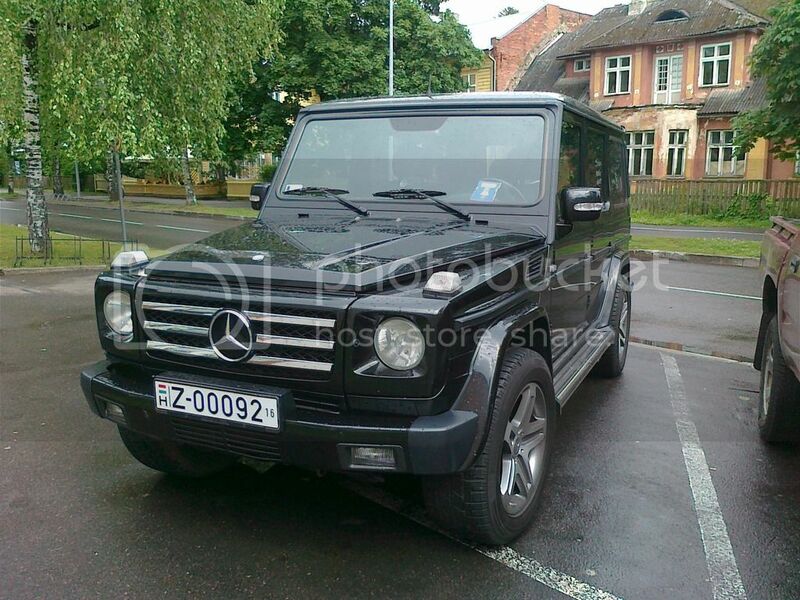 I bought a 2000 G500 in Hungary, Budapest. 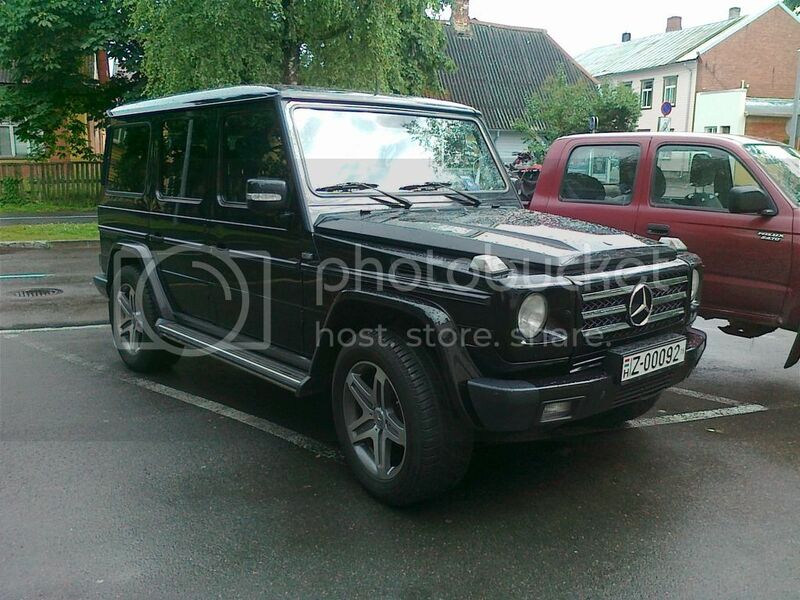 The car was bought to Hungary in summer 2013 from Germany. The car is very tidy and it runs well. There is now 153k on the clock. The previous owner had installed an aftermarket grill, mirrors with indicator lenses and AMG exhaust as well as 19" AMG wheels. The sound is abosolutely fantastic when revving. 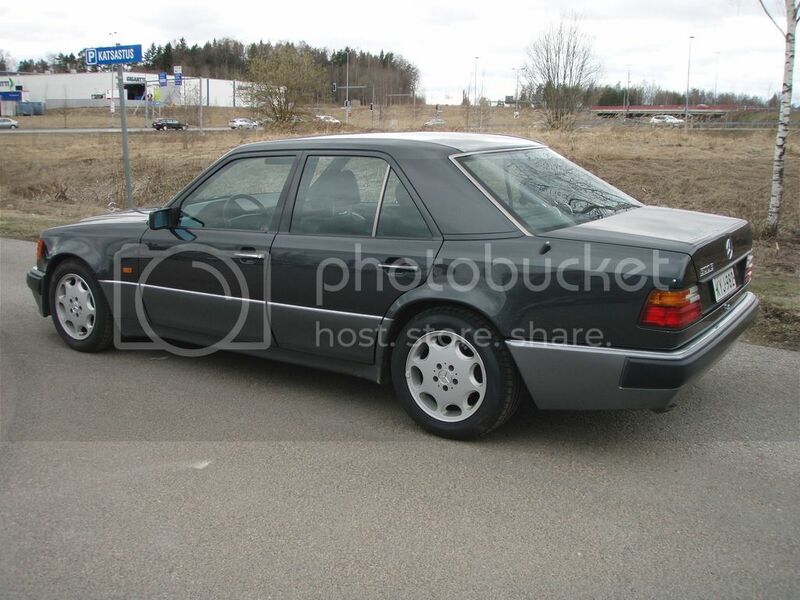 Besides the usual equipment the car is loaded with heated windscreen, heated rear seat, original 10 CD changer and radio controlled Webasto heater. 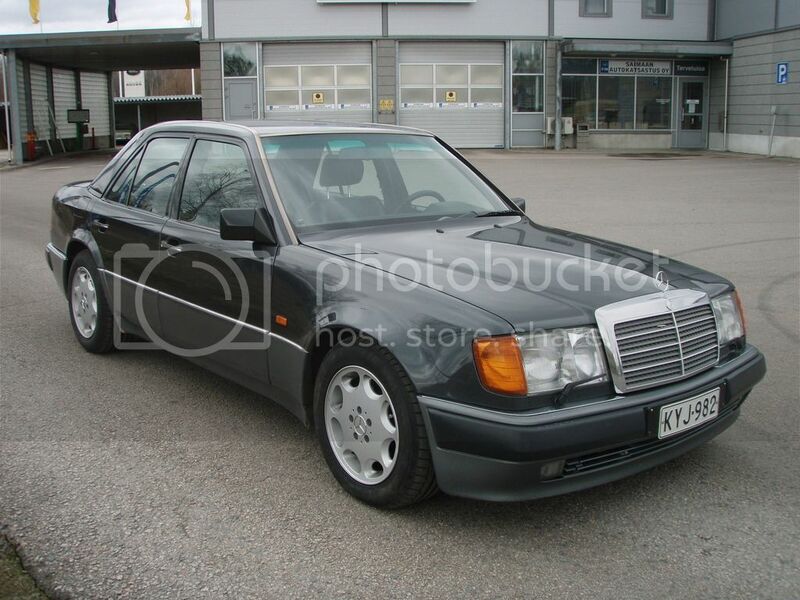 I did some minor improvement work on my 500E like installing correct wheel lug bolts (95 mm total lenght), correct wheel center caps and almost correct radio (Mercedes Special CD MF2297 from 1993). Recently installed new ignition cylinder lock was "locksmithed" to work with a brand new factory-ordered key so I have again the original single key system. Thermostat was weak and did not allow the temperature to rise the normal way, I replaced it. Replacement of the aux heater relay helped to get the Webasto heater working, although I stored the car for a couple of weeks ago. Very nice car to drive in the summer time! Pictures are taken prior to detailing, but just after a professional paintwork polishing work. What a fantastic car but I would need to have my own oil company, luckily the Russian border is near to cross for some cheaper gas. What a great car, Karra! I bought a 500E in the same colour as yours six years ago - it's one of only four in South Africa and will probably remain so due to the ban on importing left hand drive cars that came into effect in 2000. 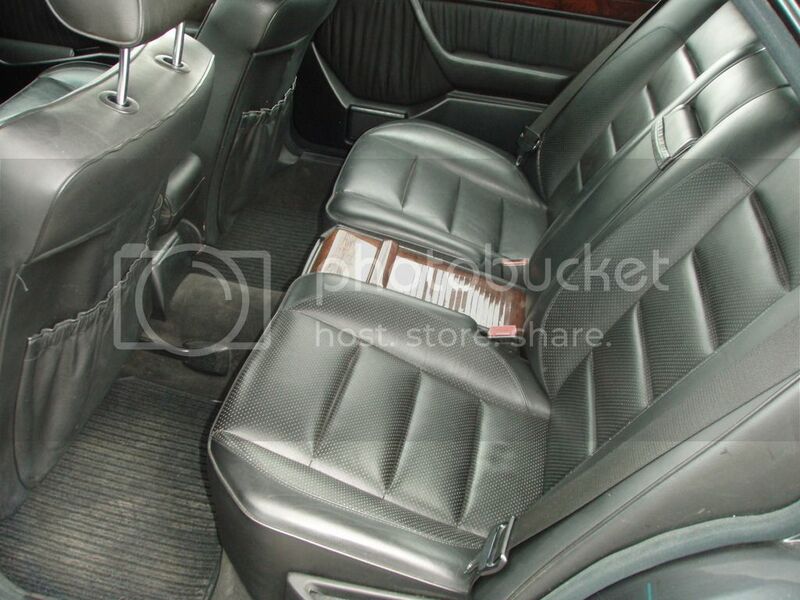 No one can understand how astonishing this car is unless you've lived with it. It offers everything you could possibly want in a car: space for four (or in my case two adults and two dogs), blinding performance to drive like a hooligan, or masses of torque to tootle around town like a gentleman. All of this and more in a car that looks as unobtrusive as a 200D. One of the worlds best kept secrets. Maybe I'm just jealous because I can't afford one but are they really all that and a bag of chips? Prices seem astronomical for even crappy ones. 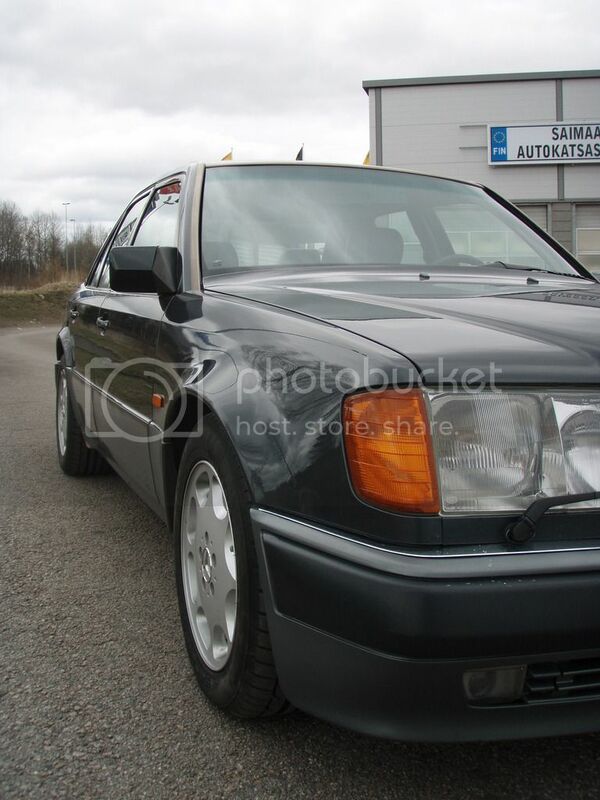 Surely you can have that much fun with a 300hp Euro W126 at a fraction of the price, no? --did I say I have a couple of 126s? 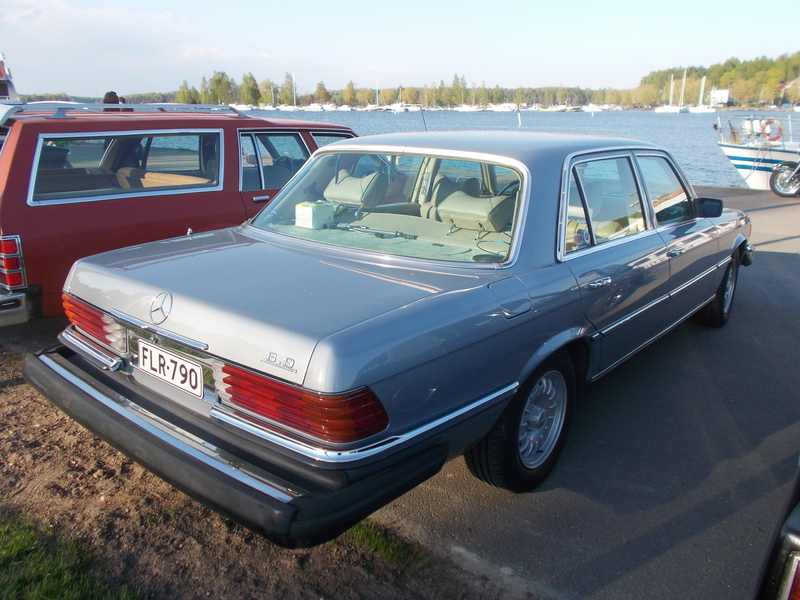 --completely different car in all aspects whether a coupe or a sedan -the 126 is a luxury sedan (specifically the 560SEL) while the 500E is a sports car with 4 doors. 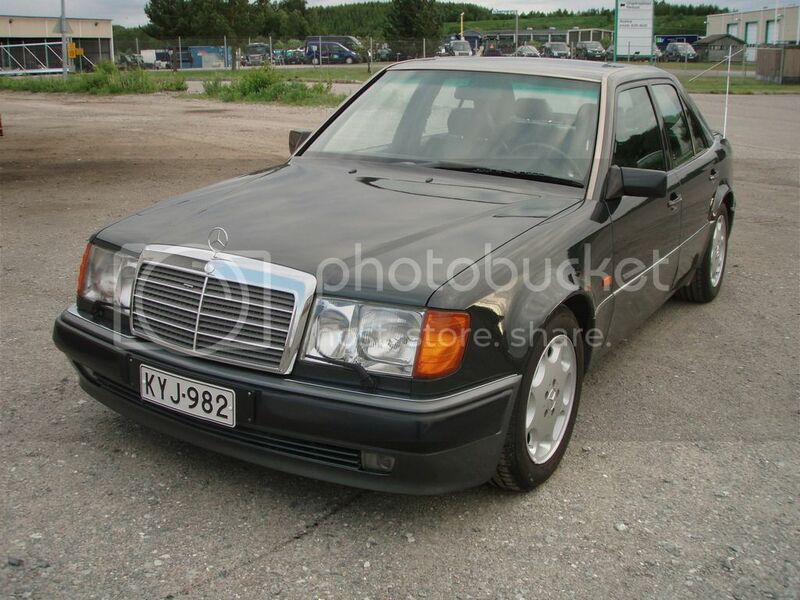 I bought a 2001 e55 AMG for what I thought was pretty cheap. 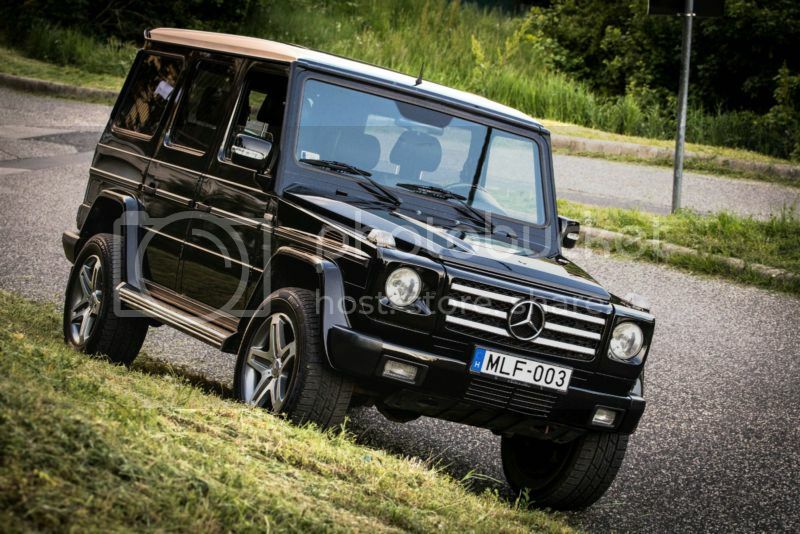 It was back in 2013 and had 45000 miles and was 15000 USD. Except for some scratches the car was immaculate and all original. What a fun car! 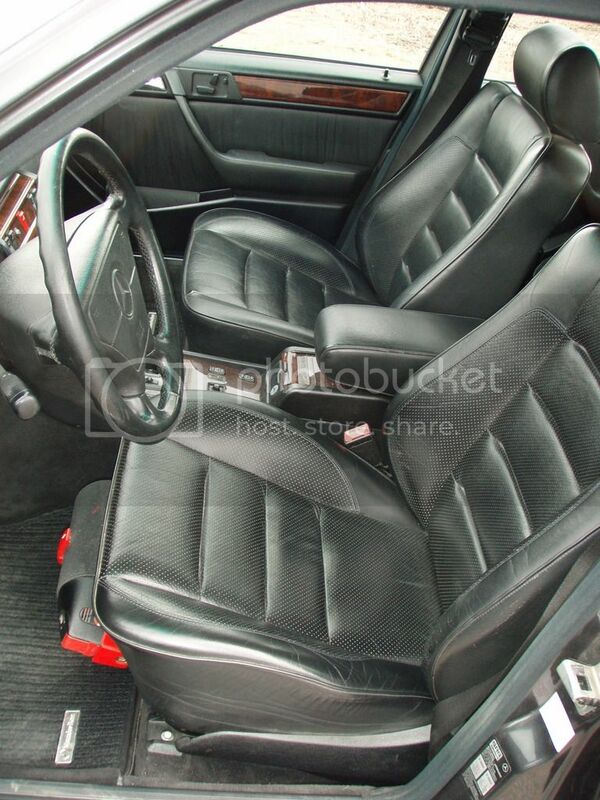 I know the w210's can have build quality issues, but like any purchase you need to look it over carefully.